At just 25, Jennifer Lawrence is already an Oscar winner and Hollywood?s most bankable actress. 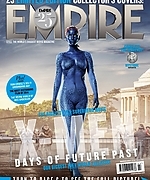 Since 2010?s gritty breakthrough Oscar nominated role in Winter?s Bone, she?s led the box-office-busting franchise The Hunger Games and worked blue for her role as Mystique in the X-Men series. ?It?s crazy,? 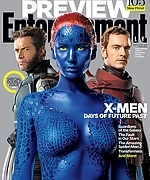 Lawrence tells EW. ?I signed on to these projects when I was 20 years old. I remember being like, ?Oh my God, I?m going to be 25 when I?m finished. It seemed so far away.? As for saying goodbye to Katniss Everdeen, Lawrence says she now feels the finality of Mockingjay ? Part 2 arriving in theaters. ?It does feel over. It didn?t for a while and I didn?t think it would ever sink in, but it has now. It feels over. And that?s okay. It?s okay to move on.? This Christmas, she and director David O. Russell ? who previously did 2012?s Silver Linings Playbook (for which she took home the Best Actress Oscar) and 2013?s American Hustle (which garnered her a third nomination) ? have teamed up again for Joy, in which Lawrence takes center stage as the film unfolds over four decades to show how one bright, determined woman rises to become the matriarch of her family. ?David and I will never, ever, ever, ever not do movies together,? she says. ?I love him so much that sometimes I can?t talk about him without tearing up. Look! I?m tearing up. I understand every look, every eyeball move, every word he says or doesn?t say. We were made for each other.? Russell feels the same way. ?Jen?s the same person, this girl from Kentucky who is becoming a woman,? he says. ?I?ve gotten the privilege of watching that. That?s also the story of this movie. It?s a lot for a 25-year-old. But it?s happening. Jennifer is really finding her own voice.? To continue reading more on EW?s Entertainers of the Year, pick up the new issue of Entertainment Weekly, on newsstands Tuesday, or buy it here. Watch EW interview with Lawrence below. ?I was just so afraid. I didn?t know how this would affect my career.? 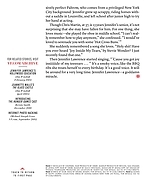 That?s just the beginning of what Jennifer Lawrence has to say about her stolen-photos saga in the cover story of?Vanity Fair?s November issue, the digital edition of which will be available Wednesday, October 8, and which hits newsstands in New York and Los Angeles on Thursday, October 9. Lawrence originally met with V.F. contributing editor Sam Kashner on August 13. News broke that hackers had stolen personal photos of her and posted them online on August 31?two weeks after the interview and a month after her July 29 cover shoot with Patrick Demarchelier. So Kashner followed up with Lawrence?s team in hopes of giving the actress ?a chance to have the last word.? ?I could just sense after having spent a little time with her that she would come out swinging,? Kashner tells VF.com. The 24-year-old actress had not previously commented on the incident, but she spoke to Kashner at length about the anger she felt. ?Just because I?m a public figure, just because I?m an actress, does not mean that I asked for this,? she says. ?It does not mean that it comes with the territory. It?s my body, and it should be my choice, and the fact that it is not my choice is absolutely disgusting. I can?t believe that we even live in that kind of world. ? 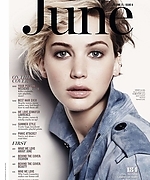 I have uploaded new magazine scans of Jennifer from year 2014 to the gallery. More photos will be added later, Enjoy!